Fifteen years later, the most important lessons the Sept. 11 terrorist attacks teach us are not about the potential evil militant Islam: They are about the potential goodness of American Catholics. 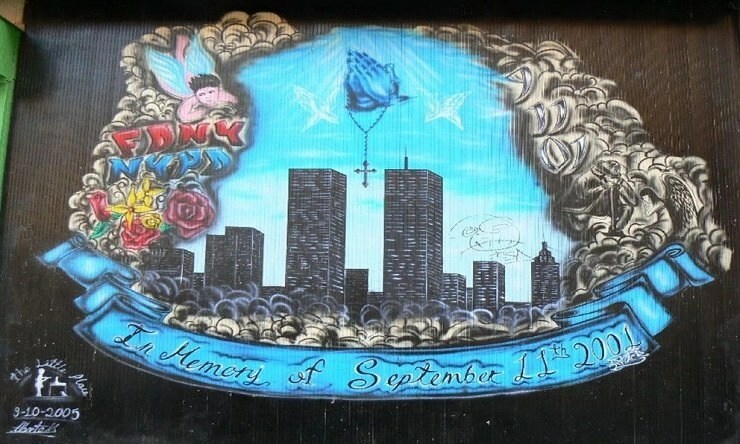 Most of New York’s 9/11 heroes were Catholic. At the Knights of Columbus, they remembered them with their Mass cards — Italian, Irish, Latino or Polish guys on the front, prayers of St. Francis on the back. These are men who, on Sept. 11, sent out an urgent call for priests so they could receive general absolution before they charged into the burning buildings, or last rites if they stumbled out. They didn’t just die attempting to do good for others; they died succeeding in saving large numbers of people from certain death — as much as 80% of the people at work that morning, by some calculations. Ordinary virtues accounted for their extraordinary success that day. The rescuers were prompt, responding quickly to the call. They were careful and thorough in their evacuation. They generously put concern for themselves aside for the sake of others. The heroes of Sept. 11 aren’t martyrs, exactly. They weren’t saints. But their deaths have a deeply Christian meaning. To die for others is the closest imitation of Christ’s love possible — and it is the ultimate expression of the Catholic faith. Read their stories here. But given that most of us will never have the opportunity to save scores of people from catastrophe, how can we live those virtues? Today’s readings offer ways each of us, 10 years later, can be 9/11 Catholics of a different kind. In the first reading for this Sunday (the 24th Sunday in Ordinary Time, Year C), from Exodus, God confronts Moses. He has had enough of the sinful ways of his people. “My wrath may blaze up against them to consume them,” he says. But Moses intercedes for them and they are spared. in the second reading, we learn that we have an even greater intercessor than Moses: “Christ Jesus came into the world to save sinners,” writes Paul. “Of these, I am the foremost,” he adds. And in the Gospel, we see just how far Jesus will go to save sinners: He will leave everything aside, even heaven, to look for his lost sheep. Every Christian has to be an extension of that one ministry of Jesus: Saving sinners. The letter of St. Jude puts this mission in a way reminiscent of Sept. 11: “Save others by snatching them from the fire,” it urges. It is hard to compare anything we do to what the Catholic heroes of 9/11 did. But our faith tells us that we, too, are witnessing an evil attack, by the forces of hell, and our loved ones are being trapped. And our faith also tells us God expects us to rush in after them, no matter what. Because that’s what Catholics do: Save others by snatching them from the fire.